In the ongoing propaganda battle between Israel and Hamas during the 46-day war in Gaza, West Jerusalem has come up with a new line. The inspiration for the Israelis came on Tuesday when the jihadists of the Islamic State beheaded the kidnapped American journalist James Foley, publicizing the execution in a graphic video. 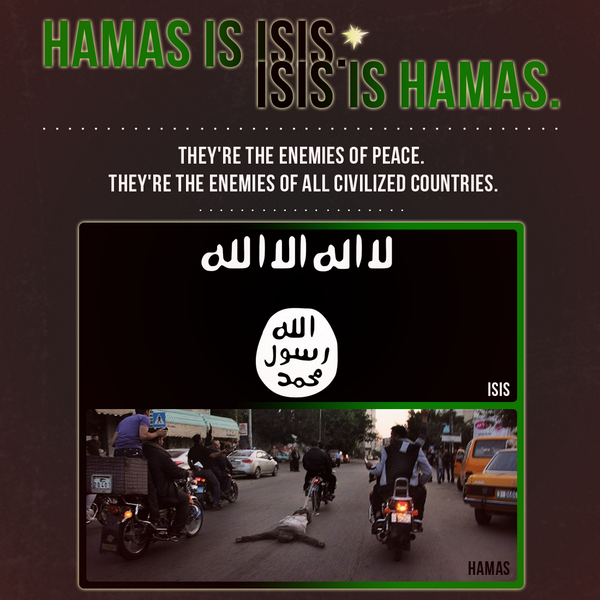 The world saw yesterday that Hamas, like the Islamic State, carries out mass public executions. 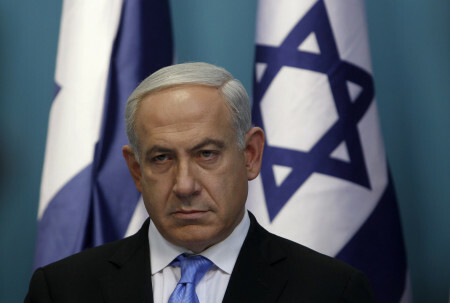 In addition, Hamas, like the Islamic State, it persecutes and oppresses minorities. 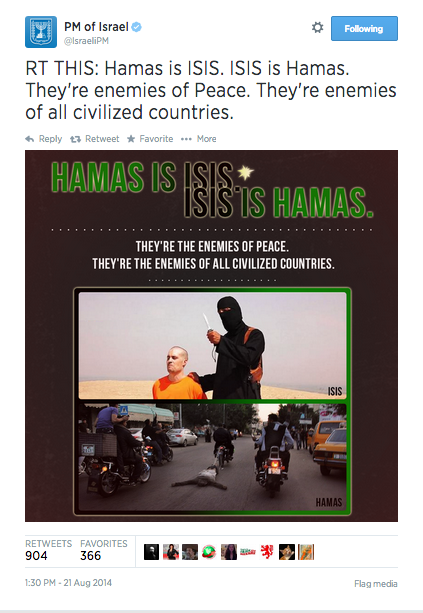 The ideology of these two groups calls for Islamic caliphates and both use the same murderous methods — Hamas is the Islamic State, the Islamic State is Hamas. PreviousBBC Radio: Is US Now at War with the Islamic State?